Well we certainly wish you all the best! But unlike two hundred years ago where guts, luck and some knowledge of the wind would get you aloft, nowadays you have to do quite a bit more preparation before you will be allowed to take a hot air balloon into the sky. Pilots have to go through quite a bit of training, they have to be in good enough shape to handle the equipment, they have to be able to put up with temperature extremes and be able to go through bumpy landings! Of course, all of this is counterbalanced by the ability to sour through the clouds under a giant balloon, hire yourself out to others (commercial pilot) and see the world from a whole new vantage point. So if all of this sounds great to you, how do you become one of the pilots yourself? There are two broad routes to choose from: you can either start as a crew member or you can skip that and go straight to the course for certification. It’s actually recommended that you start out at the bottom as a crew member first; that way you get the benefits of seeing how hot air ballooning works, be mentored by the pilot and get a good feel for ballooning before committing anything other than time to the endeavour. If you still want to do it after your stint as a crew member, you can do the private pilot certification. From Complete Novice to Master! This certification is not complicated, but it’s not easy. You’ll start out as a student pilot with a Student Pilot Certificate, unless you already have an airman certificate for any other craft and then you can skip it. Student pilots have to be at least fourteen years of age, must be fluent and literate in English and have no medical condition that would hamper safe flying. With your instructor, you’ll take part in a wide range of training, including preparation, controls, how to lift off, climb, descend, and land safely, what to do in cases of emergencies, pertinent regulations and rigging; all of which will help you to pass the written exam! As a student, you cannot carry passengers. Once you pass the exam, you will next work towards becoming a private pilot. Private pilots have to follow the same regulations regarding their language and health as students, plus they have to be at least sixteen years of age. Furthermore, all private pilots have to have at least 10 hours of flight training time: 6 hours with an instructor, two 1 hour flights within sixty days of the test, at least 1 2,000 foot ascent from takeoff and 1 solo flight. Plus all private pilots must pass the knowledge and practical tests. Phew! As a private pilot, you can carry passengers, but you cannot hire yourself out in any way. Some people stop there, but if you want to fly for profit, you have to become a commercial pilot. Commercial pilot requirements include holding a Private Pilot Certificate, being at least 18 and spent at least 35 hours as a pilot (20 of which flying). These 35 hours have to include at least 10 flights in balloons, 10 more hours of flight training (which includes at least 10 flights with an instructor), 2 solo flights, 1 3,000 foot ascent, 2 one hour flights within 60 days of taking your practical test and 2 solo flights. And of course, you have to pass the written and practical tests. As a commercial pilot, you can hire yourself out, teach others how to fly and take part in any sort of commercial flight you want such as fundraisers, advertising campaigns, etc. Weather: Can’t fly if it’s raining a lot or too windy or snowing! You can find an instructor with equipment that is available for teaching. Since only commercial pilots can teach, it can be assumed that they have other commitments as well and sometimes the balloon needs a good fix. Plan to spend a great deal of time and energy in any event on ballooning because the more you put into it, the more you will get out of it. Pre-flight planning and procedures: how to figure out the weather, how to find launch sites, how to inspect your balloon and how to get ready for your flights. 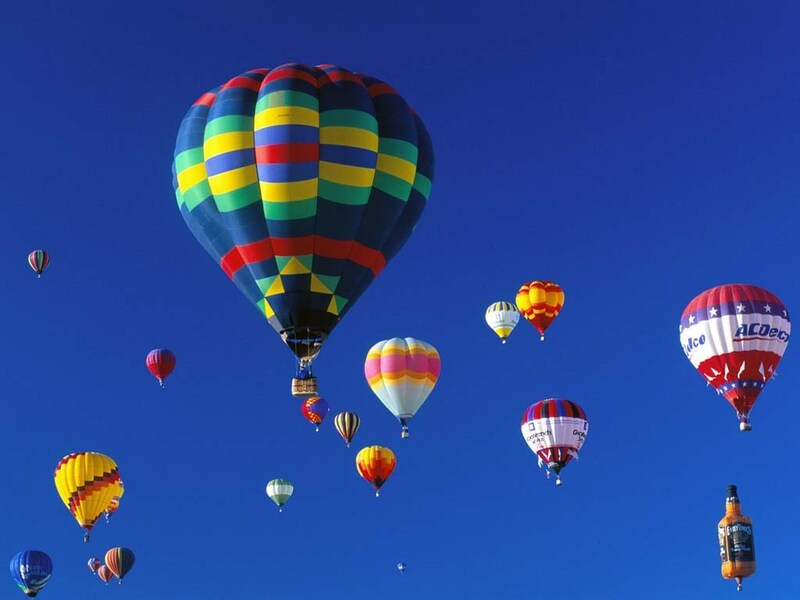 Of course, these are only a few of the basics; there is far more to operating a hot air balloon that many people think! You’ll spend a lot of time reading, thinking, being quizzed, and studying, on top of the practical information. Money is definitely going to be an issue when it comes to getting your license. It will vary wildly depending on where you do your training, but expect to pay at least a few thousand dollars for the bare minimum instruction for your private pilot certification. This is quite a commitment to make, so make sure you have the funds for it before you start. And keep in mind that hot air balloon pilots aren’t exactly in high demand anymore, so you’ll have to carve out your own niche and work really hard in order to make any money out of it. If you’re still excited and ready to fly after reading all of that, then we wish you all the best and hope to see in the sky someday! Charlene Mattson is an enthusiastic writer and avid traveller who have been writing over a lot of areas throughout her life including travel, nutrition and health to name a few. Currently she is associated with www.hotair.com.au which provides thrilling experiences of Hot Air Ballooning in Brisbane. Previous article Should You Diet While on Vacation?